MediaMatrix nControl, Digital PA Controller from Peavey. 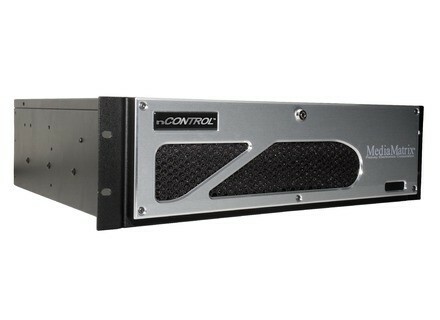 MediaMatrix by Peavey recently unveiled nControl, a hardware and software package designed to expand the control capabilities of the MediaMatrix NION digital signal processing system. MediaMatrix nControl is an auxiliary processing system designed to provide expanded control processing and additional, extensive Python scripting capabilities for the NION platform. With the nControl, users can monitor the operation and health of all devices on a network via SNMP. Devices with serial ports connect to the nControl either directly or to a supported network serial server for control and management, according to the manufacturer. nControl supports I/O cards that allow the nControl to act as a media server, including audio recording and playback over CobraNet. An FTP interface allows for transferring audio files across the network to the nControl for recording and playback without requiring a project to be deployed. Additional internal cards and network-connected devices are available to expand the GPIO and serial functionality allowing for custom, application-specific system configuration. The GPIO expansion enables the use of TTL logic, switches, LEDs and other custom circuitry for additional control driven functions. Support for RS-232, EIA-485 and EIA-422 serial interfaces is available locally to the nControl and connected across the network. For more info, check out www.peavey.com. Electro-Voice Q Series Electro-Voice introduces the Q Series amplifiers, made up of four models. Lake Controller Software v5.3 Lake has announced the availability of version 5.3 of the Lake Controller software with accompanying new firmware for the Lab.gruppen PLM Series Powered Loudspeaker Management systems. Electro-Voice EVF-1122S Part of the EV-Innovation (EV-I) loudspeaker family, the EVF Series of two-way, front-loaded, full-range systems is available with 12” or 15” woofers, several coverage patterns, and it includes low-frequency systems.